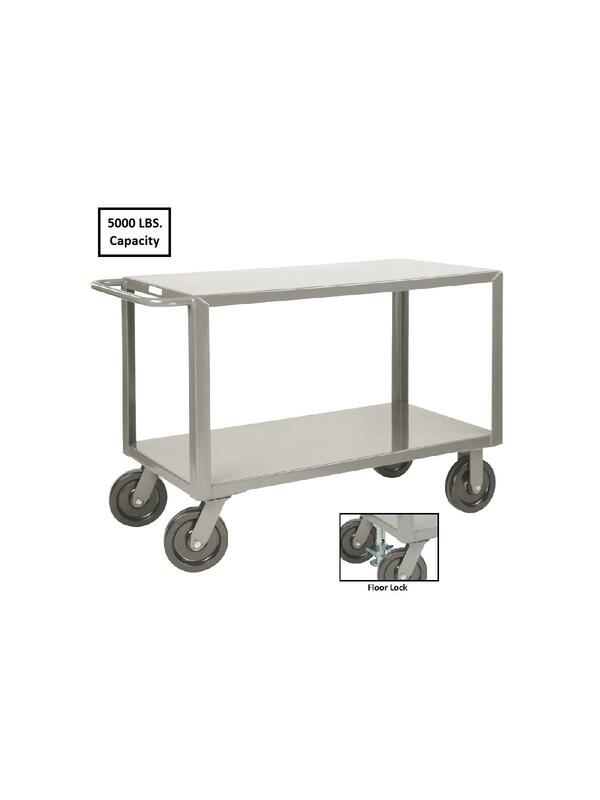 Transport your heaviest loads easily and smoothly. Features extra reinforcement for heavier capacities. Easy mobility with durability. All welded construction features 12 ga. steel flush shelves with extra reinforcements. Handles loads up to 5000 lbs. Top shelf is 36" above ground with 23" clearance between shelves. 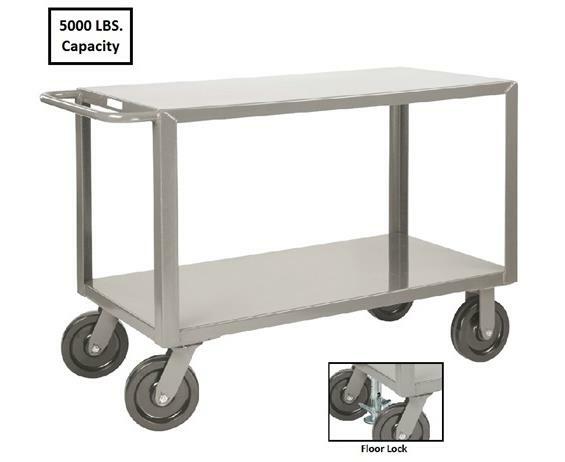 More maneuverable with 2 rigid, 2 swivel heavy duty 8" phenolic kingpinless casters. Also available with Floor Lock (-FL added to Product No.). FOB Shipping Point.